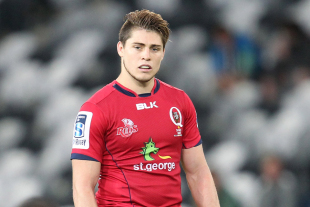 Outgoing Queensland Reds utility James O'Connor has fired back at former Wallabies full-back Greg Martin, lashing the outspoken media personality in a lengthy Facebook post. O'Connor was released from the final year of his contract by the Reds earlier this week due to "personal issues", prompting Martin to declare the former Wallabies No.10 a "little young punk" and an "immature t-t". "This could be the greatest waste of Australian rugby talent," Martin told Brisbane radio station Triple M. "He's played 44 Tests for Australia at the age of 25, [but] hasn't played in the last few years because of his bad attitude." O'Connor was quick to respond, the posting a 1500-word Facebook update in which he slammed Martin's, and wider media, treatment of high-profile sports stars, and appeared to reference the mental health issues plaguing Australian Rules superstar Buddy Franklin. "Greg then went on to question the legitimacy of my contractual release from the Red's due to my own personal issues ... Greg felt it necessary to question my character when for all he knows; my mental state could be extremely unstable. Surely there is a duty of care for a man in his position with the power to produce media for mass-consumption. The fact is the man is trivialising mental health issues by making such comments when he knows nothing about the circumstances surrounding my release." O'Connor accepted the criticism that his "previous behaviour was not one of an upstanding individual, but like all people I wish to learn from my mistakes and look to improve upon myself". He wrote that "this year, there were no headlines regarding my so-called off field antics, yet Greg does not hesitate to say I have not matured". "While my season with the Red's was not as favourable as I would have expected for myself or my team, I did not come back to Australia expecting a warm reception, or a gauntlet welcoming me back to test rugby. I knew full well the mountain I had to climb to get back into the squad, and regardless of my form and injuries it was a huge disappointment to not be included. At no point though, was there an expectation of my inclusion as Greg implied." O'Connor is tipped to return to France where he may re-join Wallabies stars Matt Giteau and Drew Mitchell at Toulon. Giteau told ESPN earlier this week that O'Connor had "trained hard, worked well" in a six-month stint with the European champions last year.